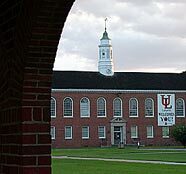 INFORMATION: Connecting disaster management, homeland security, supply chains and critical infrastructures is what the University of Louisiana at Lafayette’s National Incident Management Systems and Advanced Technologies (NIMSAT) Institute holds at its core. Its mission is to empower national, state and local incident managers with an all-hazards approach. At the foundations of NIMSAT are efforts to enhance the understanding of threats and vulnerabilities to the nation’s critical infrastructure, and improve the resiliency of private sector supply chains that fuel the national economy. Researchers will do this by processing and analyzing data using supercomputing and visualization technologies. With partners like WalMart, James Lee Witt Associates, SGI, Priority 5, CISCO, Tulane, San Diego State University and many others, NIMSAT, is creating a partnership between the public, private and governmental sectors leading to cross-cultural collaborations that could fundamentally impact the way the nation manages disasters. NIMSAT will official launch on March 28, 2008, with a ceremony at the Louisiana Immersive Technologies Enterprise at 10 a.m. with Distinguished Guest Senator Mary Landrieu. CONTACT:	Dr. Ramesh Kolluru, executive director of NIMSAT, at 482-0611 or see him at the launch.